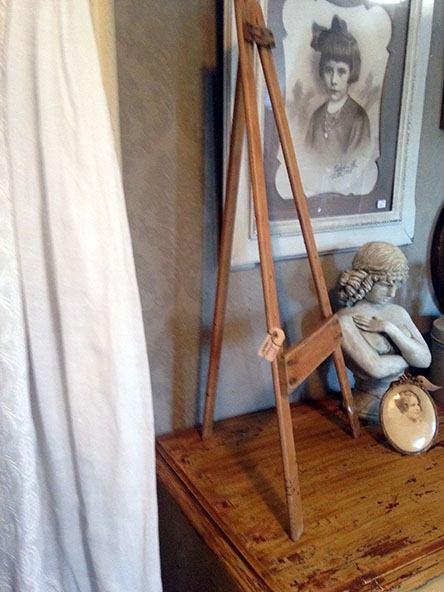 Lovely antique wooden tabletop easel. 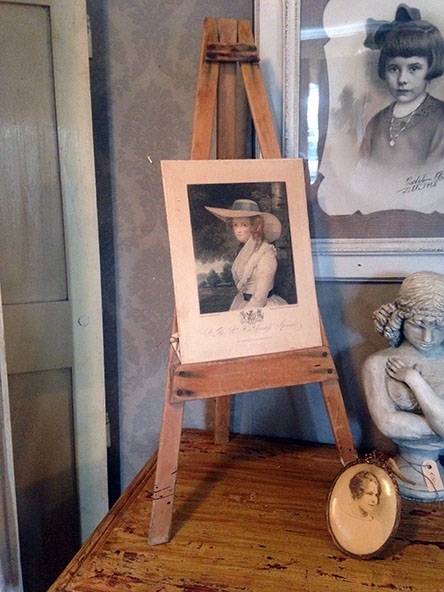 Very nice, great to display an old print or painting, small enough to be placed on a table or cabinet. The easel has a total length of 82,5 cms (folded, it will be lower when unfolded), a total width of 38,5 cms, and the width of the bar on which a picture can be placed is 27 cms. 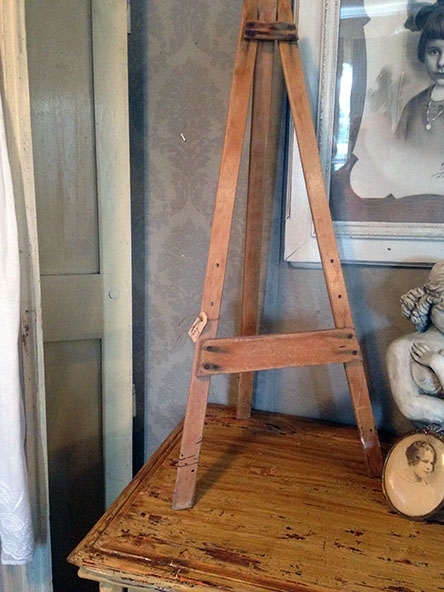 The easel is in very good condition.